Though he had asked for his release, Vince Wilfork will remain a Patriot. 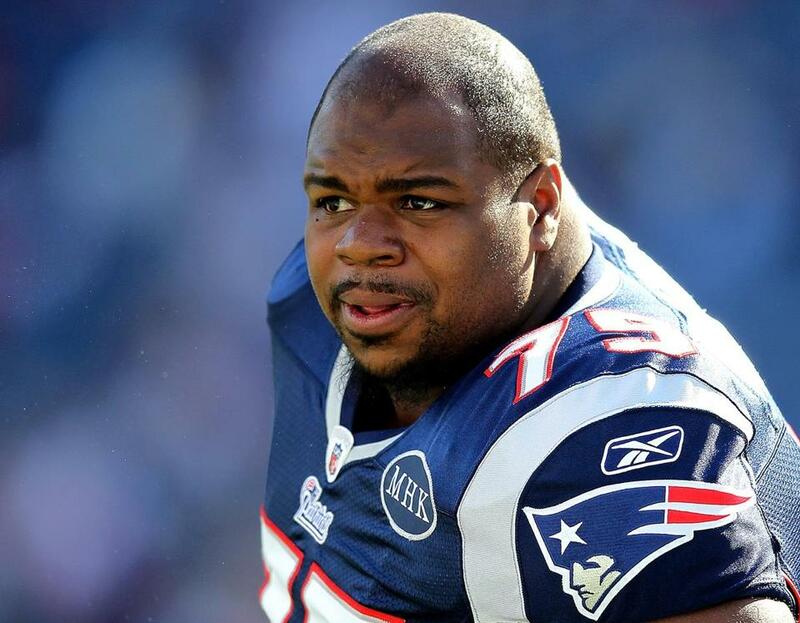 Vince Wilfork will remain a Patriot after all. Wilfork, who had asked the Patriots for his release during a contentious contract negotiation, agreed to a restructured contract to remain with the team, a league source told the Globe. Wilfork, 32, gets a new three-year deal worth $22.5 million overall and $3 million guaranteed, according to reports. Wilfork can make a maximum of $8 million in the first year, but does not have any guaranteed money in the final two years, according to ESPN. Wilfork’s signing adds to a solid offseason for the Patriots. They beefed up the secondary with cornerbacks Darrelle Revis (one year, $12 million) and Brandon Browner (three years, $17.4 million), signed two receivers in Julian Edelman (four years, $17 million) and Brandon LaFell (three years, $9 million), and now convinced Wilfork to stay in New England while also freeing up some valuable salary-cap space. According to NFL Players Association records, the Patriots had approximately $4.02 million in salary-cap space before Wilfork’s restructured deal, which should free up approximately $4 million-$5 million. Wilfork has never had big stats with the Patriots, with 16 sacks in 10 seasons, but he has earned five Pro Bowl appearances as a run-stuffing menace who selflessly takes on double-teams to free up other defenders to make tackles. Wilfork has also been a pillar of the New England community through his off-field work with the team and the Vince Wilfork Foundation, which supports diabetes research. But Wilfork had a few factors working against him: He is on the wrong side of 30 and coming off a bad injury — a torn Achilles’ tendon suffered in Week 4 that ended his season. The Patriots are likely done spending big in free agency, but still need to find an answer at center (Ryan Wendell currently sits as a free agent), depth across the defensive line (particularly at pass rusher), depth at linebacker to replace Brandon Spikes and Dane Fletcher, and another tight end target to complement Rob Gronkowski. Most of those solutions will come in the draft, and on Thursday, the league announced the official order of all 256 draft picks. The Patriots have eight picks overall, including the 29th pick of the first round. Since they tied San Francisco at 12-4, the Patriots will alternate between the 29th and 30th pick of each round with the 49ers. The Patriots traded their fifth-round pick to Philadelphia during the season for nose tackle Isaac Sopoaga and a sixth-round pick, and acquired an extra fourth-round pick as compensation for free agency losses last year, most notably Wes Welker and Danny Woodhead. The Patriots’ official picks in the draft, which is May 8-10 in New York City, by round and overall selection: 1 (29), 2 (62), 3 (93), 4 (130), 4 (140), 6 (198), 6 (206), 7 (244). Ben Volin can be reached at ben.volin@globe.com. Follow Ben Volin on Twitter at@BenVolin.